What is proper trick-or-treating etiquette? | Autumn Answers | Kids VT - small people, big ideas! Moms and dads get a little wacky come October 31st. Maybe it's all those pumpkin-spice lattes. Maybe it's that we know a long, dark winter is looming. Whatever the reason, we're making eyeball fruit punch, watching "DIY gaping wound" tutorials on YouTube and paying way too much for plastic costumes at Party City. How do we reconcile this temporary madness with helping our kids make good decisions and retain a modicum of self-control? Talk with them about Halloween safety and etiquette. Self-proclaimed "manners mentor" Maralee McKee offers an extensive list of trick-or-treating tips. First and foremost, costumes are required. Halloween's not just a sugary land-grab. Historically, sweet treats were meant to placate wandering spirits. Costumes don't have to be elaborate or expensive, but should be good enough to acknowledge that we're all playing a part in this holiday theater. Among McKee's other suggestions: Assume that each house has a one-piece limit; don't dig around in the bowl for "the good stuff"; don't offer your opinion of the candy choices; say "Thank you!" every time. Julia Elliott, editor in chief at Detroit-based Metro Parent, points out that Halloween etiquette applies to adults as well. If you plan to drive your children to another neighborhood, park your car and accompany your gaggle of ghosts. Cruising slowly along behind them is creepy, and not in a good way. Elliott is also clear: Give out actual treats. No life was ever changed by an apple received on Halloween. 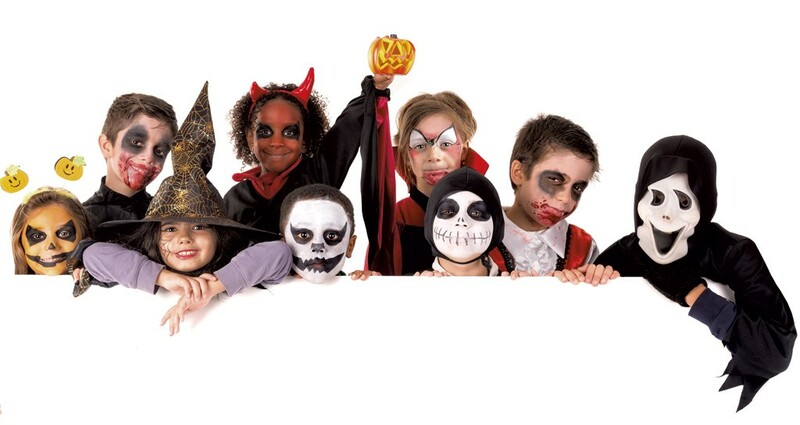 Kids get piles of candy in exchange for showing up on your doorstep looking adorable, hilarious or terrifying. Stick to the program, people. As always, the most important thing to remember is that you're the parent — on Halloween, and every other day. Decide what sort of etiquette you think is relevant and important, and make sure your kids understand your rules — before the sugar rush kicks in.